STUDENTS attending the University of Papua New Guinea (UPNG) next year can expect an increase in compulsory tuition fees. The increase was approved by the university council recently. In a statement, the council said the “decision was reached in light of decreases in the annual budget provided by the Government, and the increase in the annual costs of essential utilities to maintain the continued operation of the university’s teaching and learning activities”. The council said the full details of next year’s university fee structure would be announced later this week. “The increase also reflects the Consumer Price Index adjustment which will affect both new and continuing undergraduate students,” it said. 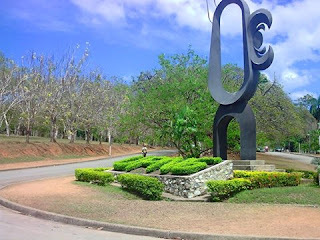 “The increase is the first for several years and will still feature UPNG as the university with the lowest tuition fees in Papua New Guinea. “The tuition fee increase does not apply to international students who enrol at UPNG for their studies. “The current board and lodging fees for residential students are scheduled to remain the same as for 2017.